Large portions of the country think Duke will be cutting down the nets when March Madness ends. Gonzaga is in second with nine states picking them to win. You can see the full map below. 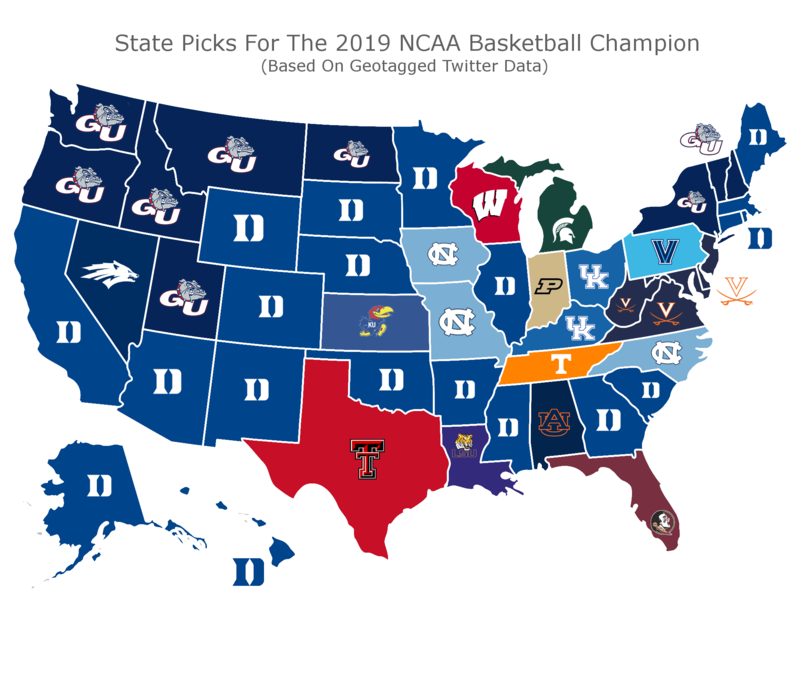 First off, is anybody even surprised Duke is the heavy favorite in nearly half the country? I don’t think so. I’ve been saying for the past few days that they look borderline unstoppable, and anybody with eyes probably agrees. Coach K’s guy’s out here determined to take souls. Secondly, I love the fact Wisconsin is all in on the Badgers, a five seed, winning the tournament. That’s the kind of confidence that sets us apart from the rest of the country. We’re all in. Put Duke, Virginia or anybody else in front of us, and we’ll do what we always do. Ball out and win games when the lights are on and the stakes are high. Finally, I love the delusion of people in Nevada. The Wolfpack are a seven seed, and people think they actually have a legit shot at winning the whole damn thing. Good for them. Life must be easy when you live with that level of delusion. I almost envy that kind of blind optimism because Nevada’s best case scenario is to get murdered in the second round by Michigan. I guess Vegas really can rattle the brain after enough time.